Where else can you hit up a food truck after you get your first tattoo? 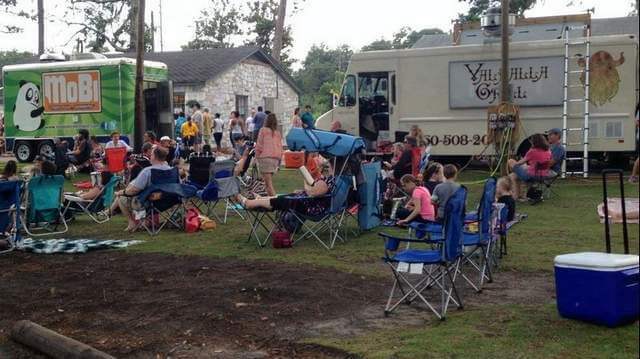 Food Truck Thursday at Lake Ella is one amazing, fun-filled adventure. It’s suitable for friends, a significant other or by yourself. “I like going to Valhalla Grill because their sweet potato fries are killer with The Viking,” said FSU graduate Sasha Jean-Noel. Street Chefs serves your mom’s cooking with a twist, like grilled cheese or its take on cinnamon rolls (There is bacon involved). There’s always a band playing and most of the time the performers are local. If you forget something to sit on, Quarter Moon lends out blankets if you have your ID. 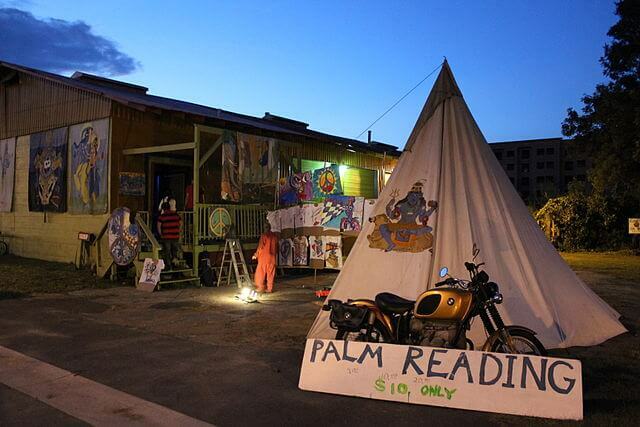 On Gaines Street, you can’t miss this funky tattoo parlor. If you have to wait for your artist to draw you up, you can walk down Art Alley or grab a slice from Gaines Street Pies. The shops offers touch ups for clients and has open hours for walk-in appointments. “Nate is really great and has become one of my good friends from getting tattooed there,” said Jordyn Hopkins. 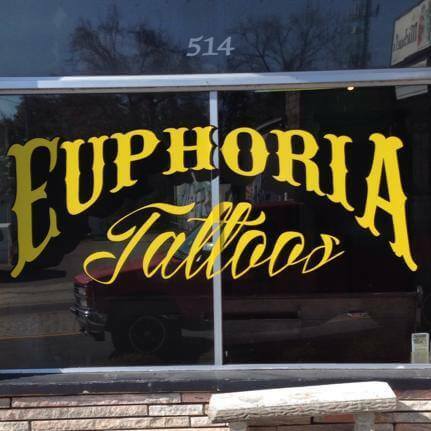 Euphoria is 100 percent the place to go for a tattoo. First Friday is a huge event at Railroad Square the first Friday of every month. The quaint shops are all open, food trucks appear and local performers are everywhere. Most of the art galleries are open and viewing the local art is a treat for anyone. “I first went my last semester, and I was so upset I had just found out about it, but my time there was always spectacular,” said Jean-Noel. There are multiple farmers’ markets in Tallahassee. There’s one on Wednesdays at Lake Ella and two on Saturdays, one on Monroe Street and one in Market Square. 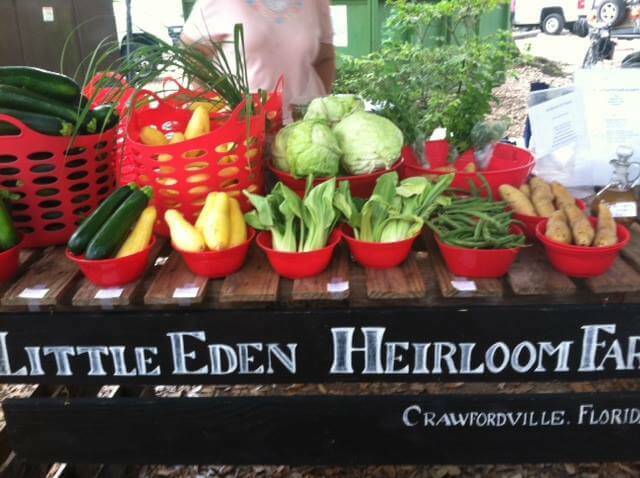 Collect fresh veggies, fruit or even soaps. Bringing a recyclable bag might be a good idea so that you don’t have to carry all your purchases. “Giving my service to the local farmers makes me feel really good and the food is always great and really fresh,” said FSU junior Ray Butterfield. 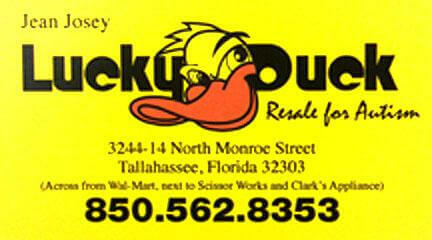 Lucky Duck, a resale store off of North Monroe, is huge and resells for autism. A word of caution: You may feel lost surrounded by the inventory. The benefit of thrift stores is you pay less for marvelous treasures, but now you also help raise autism awareness. Going with something specific in mind always helps, but aimlessly walking through finding random things is truly amazing. 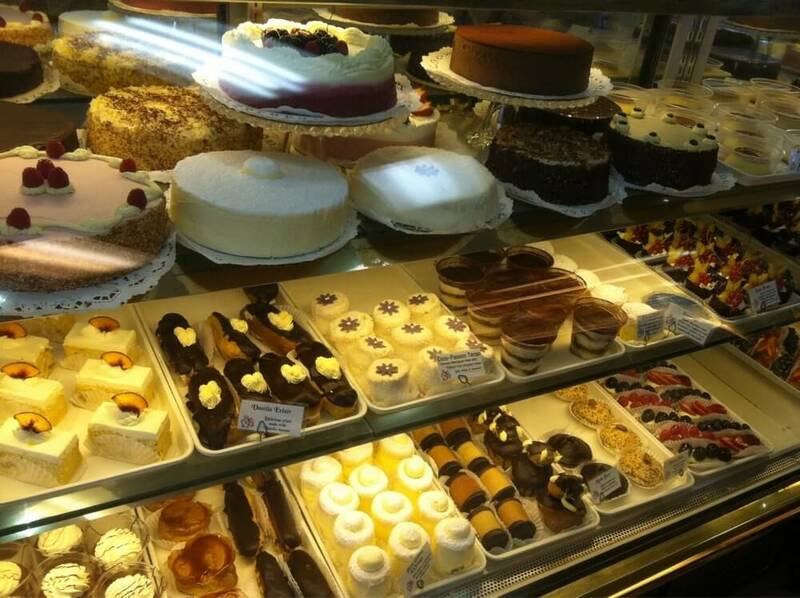 Au Peche Mignon is known for authentic bakery items spanning from chocolate croissants to macaroons. Everything is fairly priced and very delicious. The sweet smell of the bakery fills the sitting area and the feeling of comfort and ease washes over everyone. Sitting alone and reading or bringing a group of friends to just chit chat fits the scene. APM has the authentic taste of France, but the home feel of the South. Unique to Tallahassee, Lofty Pursuits is a little kid’s biggest dream. Covered in old fashioned stickers, signs and toys, Lofty Pursuits serves different variations of ice cream, handmade sodas and candy, and sells toys. The Suwanee Sundae, only one of 52, made up of butter pecan ice cream, caramel sauce and pecans, is a must try. 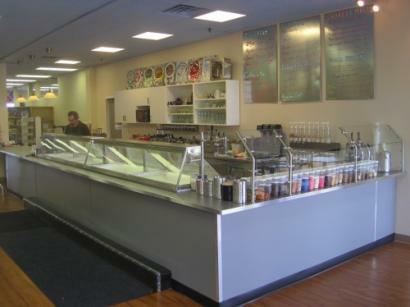 You’ll feel just like a kid in a candy store (Oh, wait). With the student discount, going there is both magical and affordable. 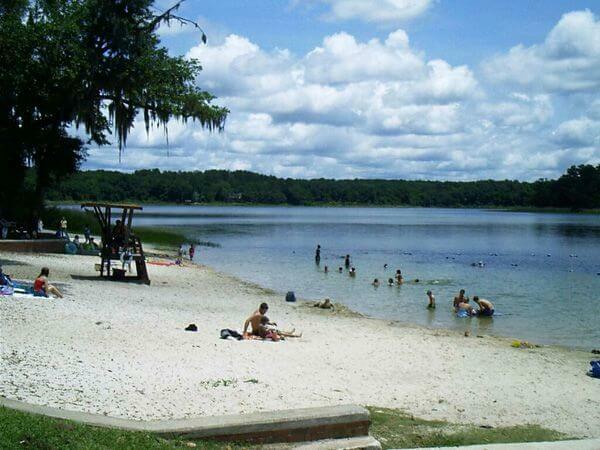 Enjoy kayaking, canoeing, bird watching or biking. “Once you start going and connecting with nature, you can’t stop going,” said Jean-Noel. Some students go there for their graduation photos because the scene is so naturally beautiful. The ability to see a little bit of nature inside of a city is like a breath of fresh air. Held every Wednesday, clubs and groups come together to dance, sing and perform. “I enjoy getting new incense and earrings from Quarter Moon. They are reasonably priced and all of their items are Free Trade,” said Butterfield. There’s a multitude of local shops selling nice posters and tapestries at reasonable prices. You can meet new people, hear some new music, grab a bite or something new to wear. 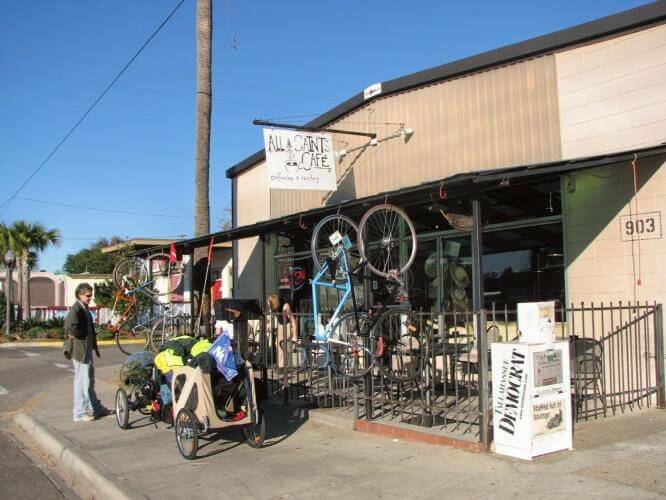 All Saints is known for its vegan bakery and brunch. Its coffee is strong and fragrant, with incredible food. The vegan banana nut bar is soft and topped with the perfect amount of nuts. Being open 24/7 is just the cherry on top. “I have had to pull a lot of all-nighters, and I always went to All Saints because the coffee was fresh, the atmosphere was relaxing and it was open all night,” said Jean-Noel. Everything being affordable and healthy(ish) is also a benefit for a college student. Whether it’s for a first date, a study session or just a pick me up in the afternoon, this is the place. Theresa is a junior at Florida State University and is a Editing, Writing, and Media major. She has an extensive film collection and a slight obsession with The Wahlberg family.